Nancy Swisher is a Transformational Coach, Spiritual Mentor and Artist. When she first contacted me about a website redesign, she was two months away from the launch of her new book. 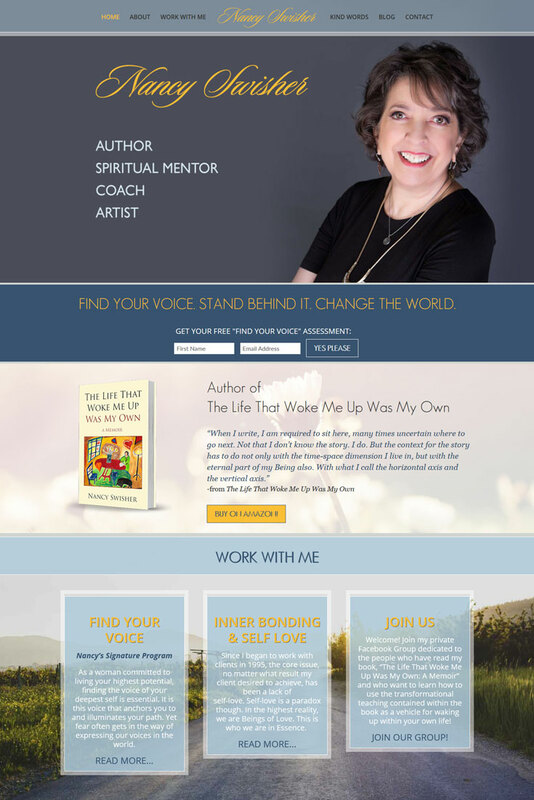 She wanted her new website to focus on the book, in addition to her other programs. Results: After her new website launched, Nancy saw a 31% increase in program sales and an 11% increase in opt-ins! View Blog Post for this Project!